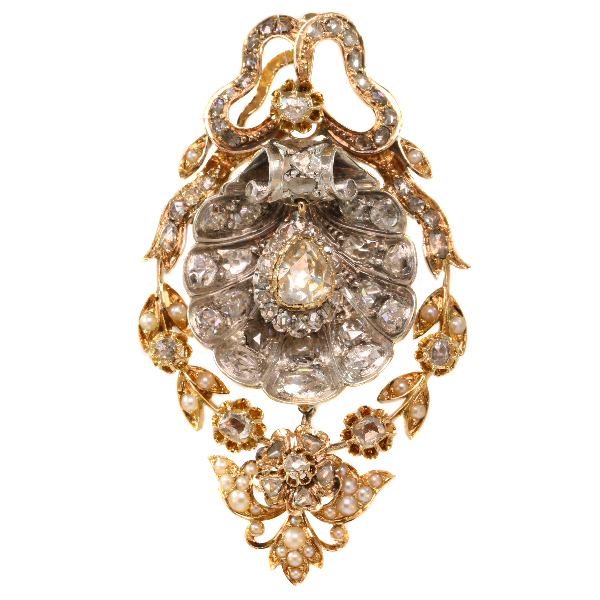 Antique pendant with big shell covered in diamonds can also be worn as brooch: Description by Adin Antique Jewelry. Diamond(s): 76 rose cut diamonds and senailles . A senaille is a simplified rose cut diamond, a small diamond chip with perhaps a few polished facets. We do not have the weight of the rose cuts diamonds nor the senailles which is normal in our trade when it comes to rose cut diamonds and senailles.